Dereck Chisora 29-8 (21) has lashed out at Eddie Hearn, saying the promoter has sold his own fighter short by failing to get WBC and WBO number one contender Dillian Whyte 24-1 (17) a world title shot. 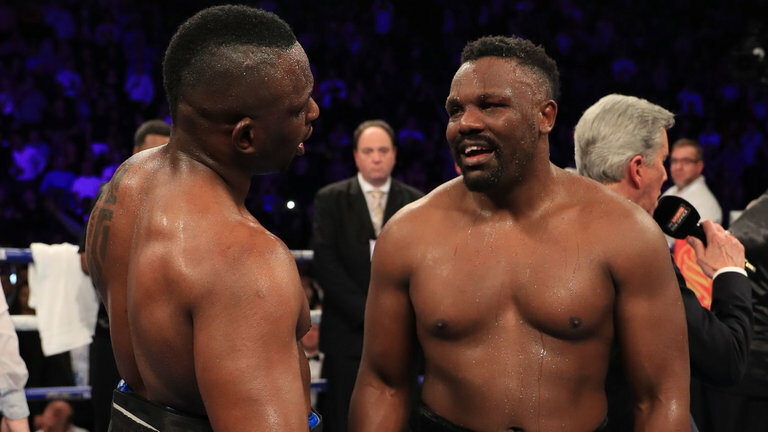 Chisora made the comments at the final press conference for his highly-anticipated rematch with Whyte that will take place at London’s O2 Arena this Saturday night. “Eddie is a snake in the grass,” Chisora said. “Boxing is like pimps and hoes. Promoters are pimps and boxers are hoes, that is how it is. “Let us all be honest, he sold him [Whyte] short. I believe when you hold the WBC silver belt you are mandatory to fight for the number one. They never bothered investing the money for him to fight for the WBC title. Chisora remained singularly unimpressed with the 30-year-old Brixton Body Snatcher’s breakthrough year that saw him defeat antipodeans Lucas ‘Big Daddy’ Browne from Australia and former WBO champion Joseph Parker of New Zealand. “Browne was only over from Australia a week before the fight and was jetlagged. He told me he hadn’t trained and he would do what he could do. He had only done about five spars, seven rounds,” said Chisora. “Parker was given the WBO belt, he was nothing. How many defences? Dillian nearly lost in the last round. If it went another round, he was finished, so you can’t go praising those two fights.